The General Data Protection Regulation (GDPR) will deliver a long overdue modernization and harmonization of privacy and data protection laws across the EU. It replaces legislation that was drafted before phones became smart and the cloud came to transform business. This guide will help you prepare for the GDPR. 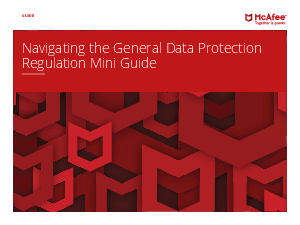 It outlines the key facts and figures, the questions organizations should ask to help assess their stage of readiness, and a comprehensive toolkit to help develop the capabilities needed to become GDPR-ready. Finally, we offer a short reference sheet covering the key information security professionals need to be prepared.